Smartphone games come in all shapes and sizes, with some consisting of epic battles that last for days and others that are complex. But what about players who just want a quick game to kill a few minutes? Plenty of those exist, too. These games load quickly, don’t need a lot of concentration, and won’t kill what spare mental processing power you have. They’re designed for enjoyment without the crushing blow that comes with losing an epic play session. Following are the four best smartphone games for a quick, but satisfying fix. 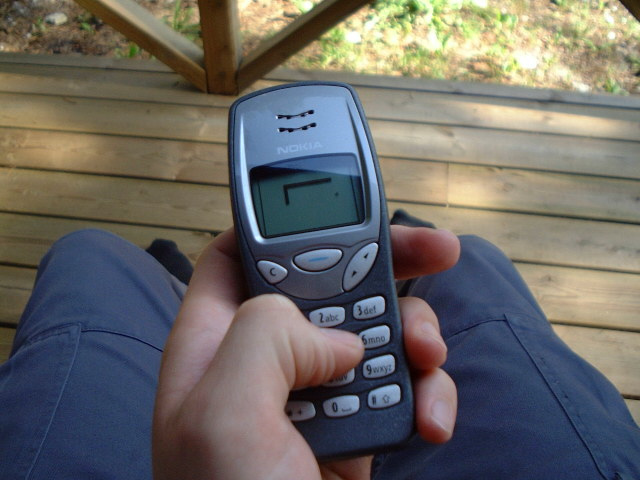 One of the earliest games on any cell phone is Snake. It was found on Nokia phones starting in the late ’90s, and it quickly captured people’s attention. The snake is a constantly moving line that grows longer and longer, and it has to avoid obstacles that get randomly placed in its way. It’s a simple game in terms of mechanics, but it has satisfying gameplay. The game loads fast as there’s not much to it, and players are happily maneuvering their snake around obstacles in seconds. Need to get back to what you were doing? No problem! Just back out of the game and go back later for another round. Plants Versus Zombies 2, or PvZ2 for short, normally has long and involved levels as players try to defeat the zombies. But it also has a daily game that’s shorter than the regular levels. The daily game uses preselected plants that roll up on one side of the screen. All the player has to do is place them onto the playing field and hope that there’ll be another plant coming along soon to replace the one that just got eaten. The game itself takes a little while to load on older phones, but it’s quick to load on a smartphone like T-Mobile’s Galaxy S6 and takes full advantage of the phone’s 4G LTE network, processing power and bright LED screen. Plus you’ll be able to see every detail in the game on the S6’s 5.1 inch screen. Jack N’ Jill is a deceptively cute little side-scrolling platformer. The gumdrop-looking Jack must overcome obstacles to save his Jill from captivity. Jack moves under his own power, which means no having to keep a finger on the screen to keep him moving. Instead, the player taps the screen to make him jump or run a loop in order to change direction. Along the way, Jack must get over chasms, avoid spiky things that knock him out, and hop on top of his enemies so as to dispatch them before they dispatch him. Each level tends to be short, making it perfect for a quick fix. But don’t let the visual simplicity of the game fool you. It takes perfect timing to get Jack over the obstacles, across gaps and onto the bounce pad at the right moment. Jack moves at a single speed, and there are no controls to slow him up or down. You have to focus on making sure you get him to jump when he’s supposed to, or risk seeing him knocked off the screen. That means you have to start over on your quest to help Jack save Jill. Osmos is one of the top games in its genre even though it’s been around for a little while. The game does have multiple levels, but it loads up quickly and players don’t have to commit to hours of play for a little satisfaction. It combines physics and biology into a unique premise. The playing field looks as if it’s full of single-cell organisms, and you’re one of them. You have to absorb other organisms in order to grow, but you also have to move around the field. In order to move, the organism uses some of its mass to propel itself. But beware! Hungry predators lurk in the corners, waiting for the opportunity to make your avatar into a snack. These games prove you don’t have to spend a lot of time beating levels or other players to get a quick fix. Simply find a spare moment, load the game, and play without it feeling like a major time committment.